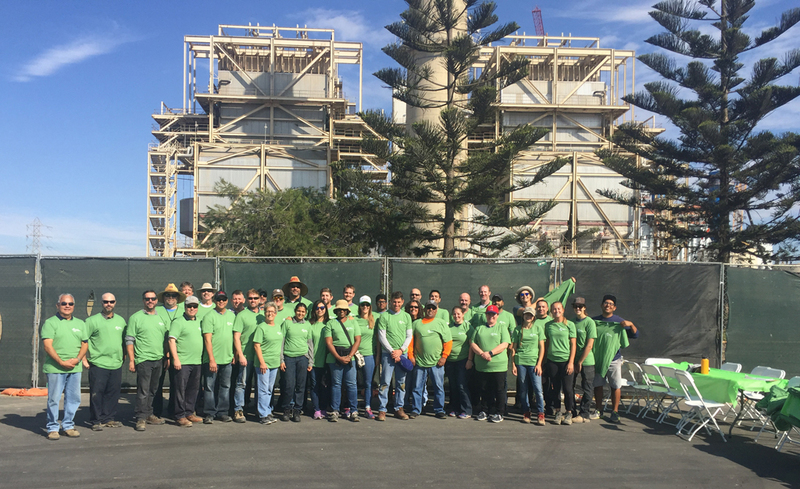 The Huntington Beach Wetlands Conservancy, a non-profit corporation, began in 1985 with the goal to acquire, restore, and protect the coastal wetlands of Huntington Beach. HBWC is passionate about creating, preserving, and promoting the habitats of local wildlife, and we welcome the community to join us in our endeavors. Having acquired and restored three of the four marshes making up the wetlands, the Huntington Beach Wetlands Conservancy is working with CalTrans to acquire the fourth, Newland Marsh, in the near future. We also conduct tours from our Interpretive Center which has unique and informational displays and videos that discuss the history of HBWC and the wildlife that occupy our marshes. 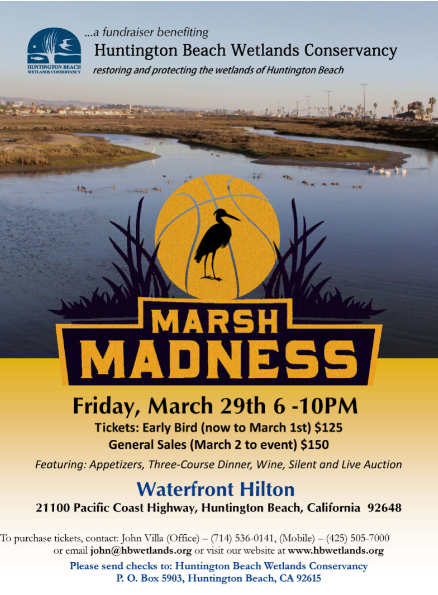 Our marshes extend from the Santa Ana River in the east to Beach Blvd in the west, along the inland side of PCH. Beginning in the late 1800s, modern development has depleted much of the coastal wetlands. Scientists believe Southern California has lost more coastal wetlands than any other region in the lower 48 states. The Huntington Beach Wetlands was part of a system that contained nearly 3000 acres. Today, a mere 180 acres remain in southeast Huntington Beach. We are working hard to preserve these precious few acres for future generations. Visit our Interpretive Center to learn about the importance of coastal wetlands, and take a walk along one of our marshes. Donate to help support our education programs. Volunteer for our marsh cleanup events. Be a docent at our Interpretive Center. All help is appreciated! Friday, November 16, 2018: Special thanks to our neighbors to the north, AES Huntington Beach, for a great event on our marshes on Friday, November 16th. Forty-eight of AES employees and management turned out for this event. Due to their great efforts, we were able to remove over 500 pounds of trash from our Talbert Marsh and 300 pounds of trash and non-native plants from our Magnolia Marsh. The team also assisted in planting 500 plants in support of our Salt Marsh Bird's Beak Project, helping an endangered species of plant, and cleaned and stained our Observation deck and memorial bench. Thank you again AES.